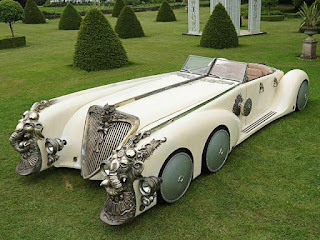 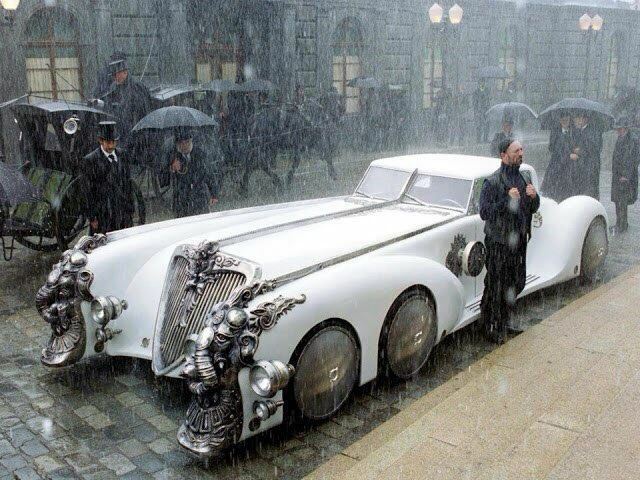 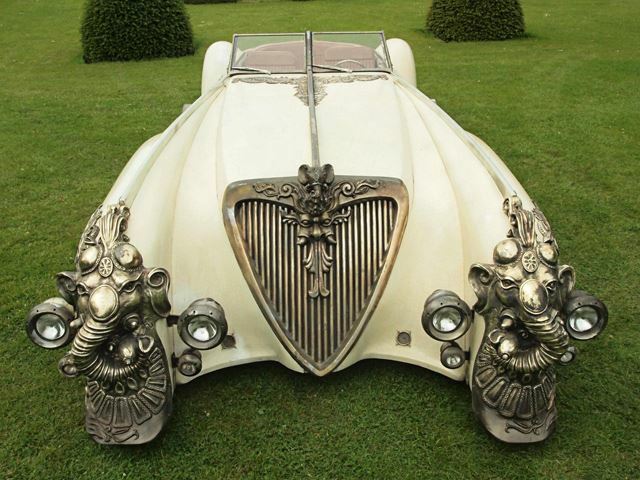 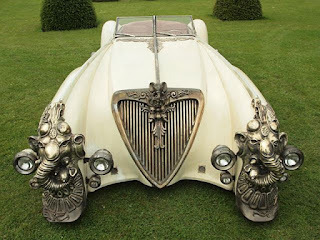 Captain Nemo’s ride was arguably the most extraordinary thing about the 2003 flick “The League Of Extraordinary Gentlemen” and over a decade after its silver screen debut, the Nautilus Car is headed to auction. 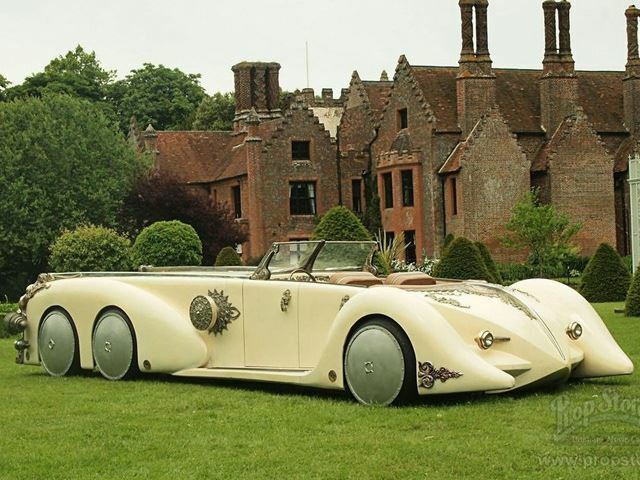 Designed by Carol Spier, and custom made for production, the car's unique fiberglass body sits atop a Land Rover Fire Tender, while a steel sub frame houses a big Rover V8 engine. One of the most striking cars ever seen on film sits on six massive 28-inch wheels, and powerful hydraulics enables the car to hop up and down like some sort of 19th century lowrider. The Hindu god Ganesha is elaborately recreated on either side of the decorative grille, and along with elephant motifs and other symbolic carvings, sport an aged gold finish complementing the cracked off-white body. 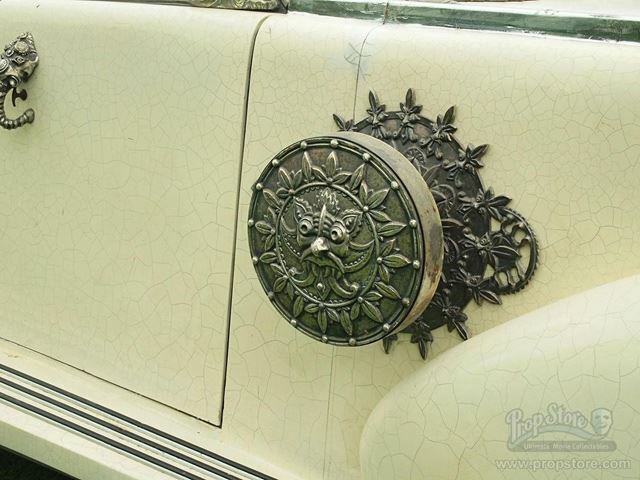 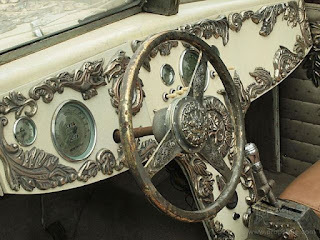 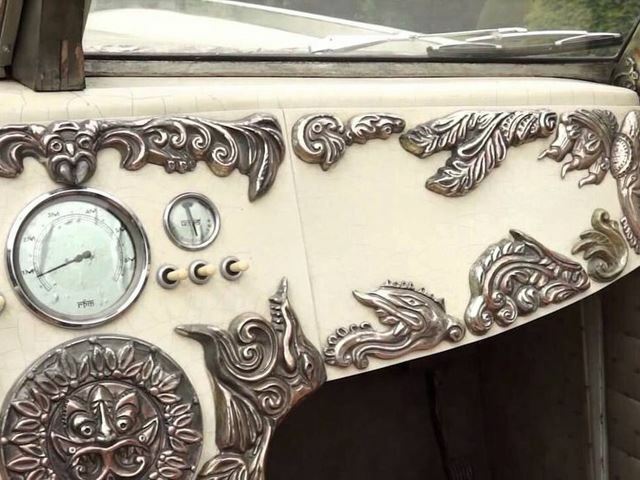 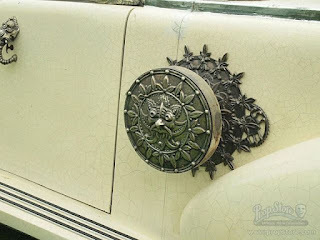 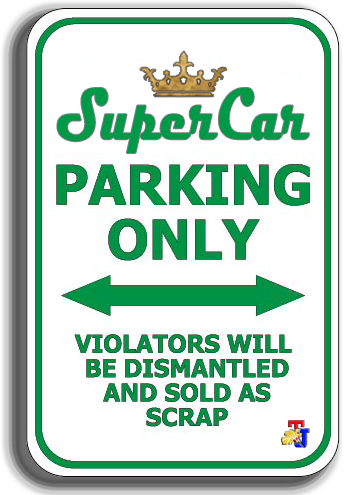 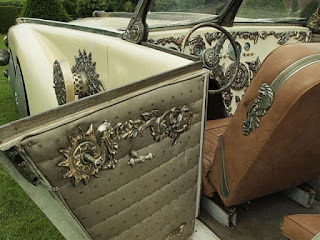 The interior is equally elaborate, upholstered in faux brown leather and silver.